Mel Ikeda’s friendly face is familiar by now to most, if not all, of our members. He is here at least once a year for a Tuesday evening presentation, is here at least twice a year as a Saturday workshop guest instructor, and has done a demo at our May show for the last several years. It’s a long drive from his home in Costa Mesa, but he nevertheless seems to enjoy his time here! His engaging demonstrations are always interesting and usually have some sort of unusual twist or element of surprise to them. This month, Mel will be doing a presentation on the bunjin or literati style. Since the style can be very abstract, the rules for it are very loose, and Mel has a good imagination, I’m sure we are in for an interesting, entertaining, and informative evening. If time permits, he may also present a demo on a contorted trunk technique, hence the “and maybe more…”. The picture shows Mel at last month’s Winter Silhouettes show. It’s great to see the interest in our Saturday Workshop Sessions. These sessions help to advance your trees to the next level of maturity. The 3rd Saturday sessions are filled, but we do have room in Ann Erb’s 2nd Saturday of the month classes. These are workshops, so you will need to bring your own material to work on. Please email me (tompostart@yahoo.com) if you are interested in attending. Your cub newsletter reporter may not have been completely accurate in his description of Ted’s presentation last month, but it (the presentation) was nevertheless timely and informative. 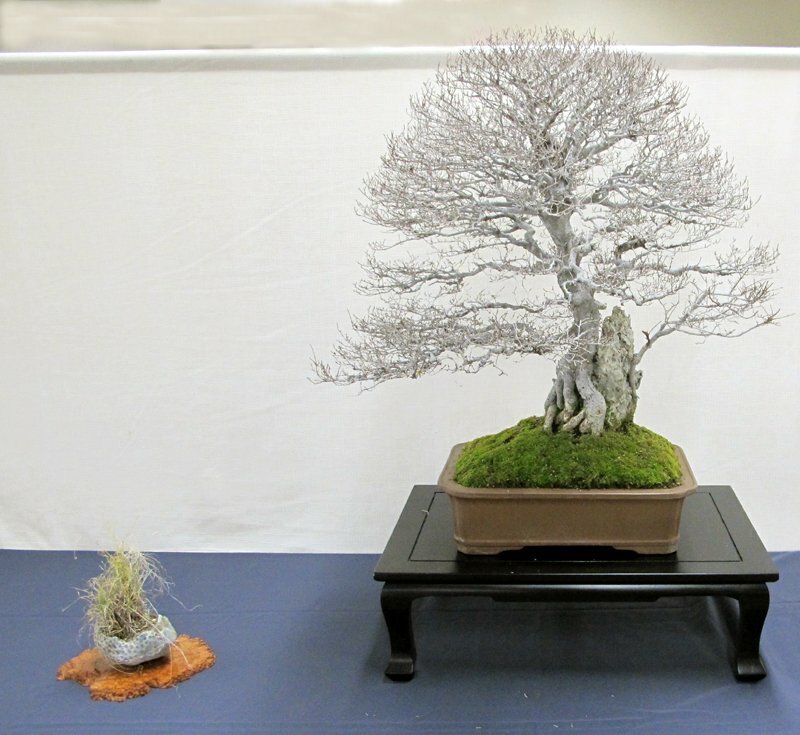 Do you have a Trident Maple with poor nebari or an unsightly bulge near the base of the trunk? Thread grafting of new roots is the answer. It will quickly provide new, mature roots. You can also look at possible new material with a different perspective knowing that you’re not stuck with poor roots forever on an otherwise nice tree. Ted Matson’s demo made it look downright easy (but then you do have to remember that just about anything Ted does appears to be effortless). Winter, while the trees are dormant, is the time to do this work. In principle, the technique is very simple: just drill holes in the trunk of your tree, insert whip-like seedlings and wait for the thread grafts to “take”! Of course, for truly satisfactory results, you need to take care in preparation and execution. A more complete write-up will be posted on Monday, February 9, to the GSBF website. If you don’t have internet access, I’ll send you a paper copy on request. 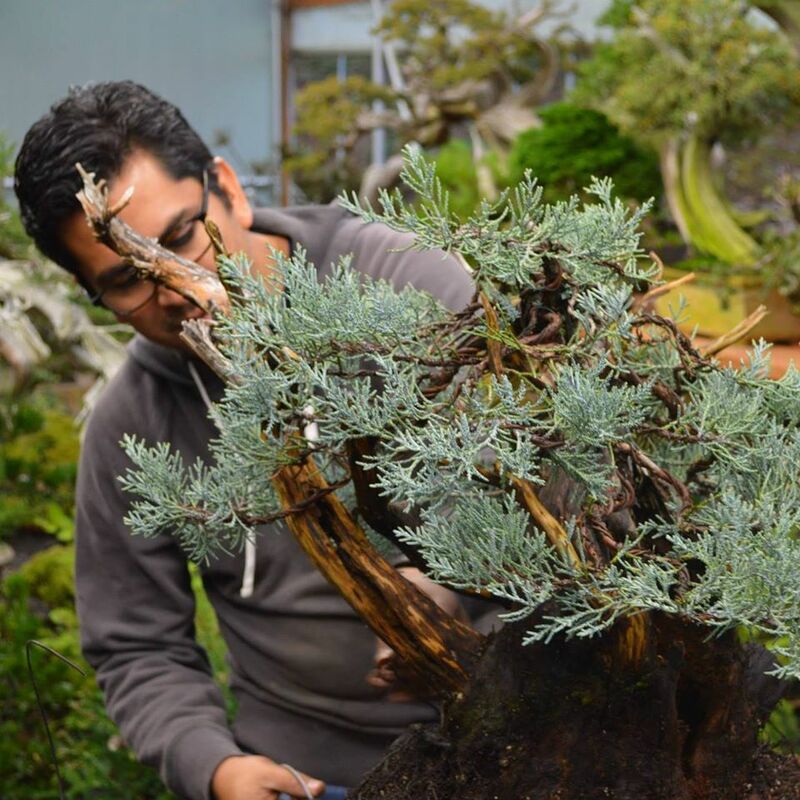 In any case, if you are at all interested in Trident Maples (or any number of other trees for that matter that may be good candidates for the technique), thread grafting of new roots is something worth considering. 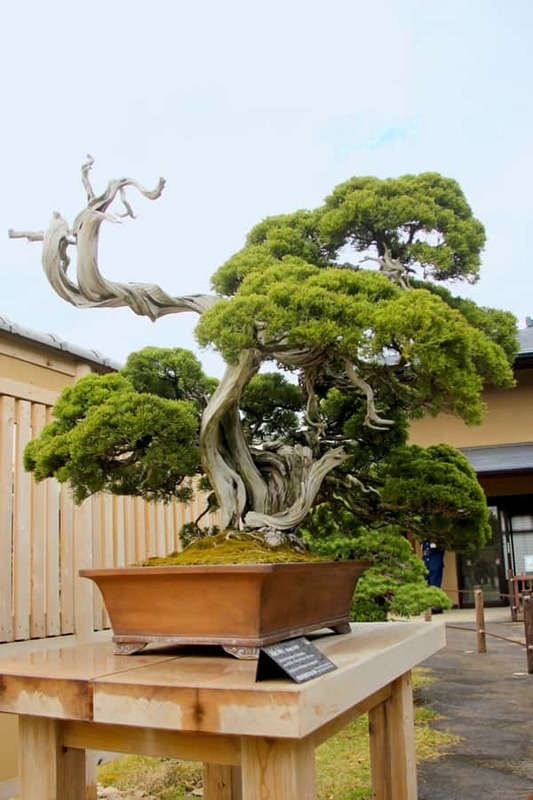 One possible source for the seedlings needed is Bill Valavanis’s International Bonsai. Please complete the accompanying Membership Renewal Form and bring it to the meeting or mail it to the club’s PO box. Dues and class fees are unchanged for last year. Dues: $30.00 for individuals, $45.00 for families. Class fees: $108.00 per semester. Last month’s election was unanimous. Since then, Tom Post’s gentle arm-twisting (ouch! that hurts!) has found that Carol Hicks is willing to fill the long-vacant office of Vice-president. Her nomination will be voted upon at this month’s meeting. That’s her picture at left. The box at the end of this newsletter has been updated to show the current 2015 officers. I was privileged to represent the club in this show last month at the Arboretum in Arcadia. The first picture below is of my Japanese Maple. 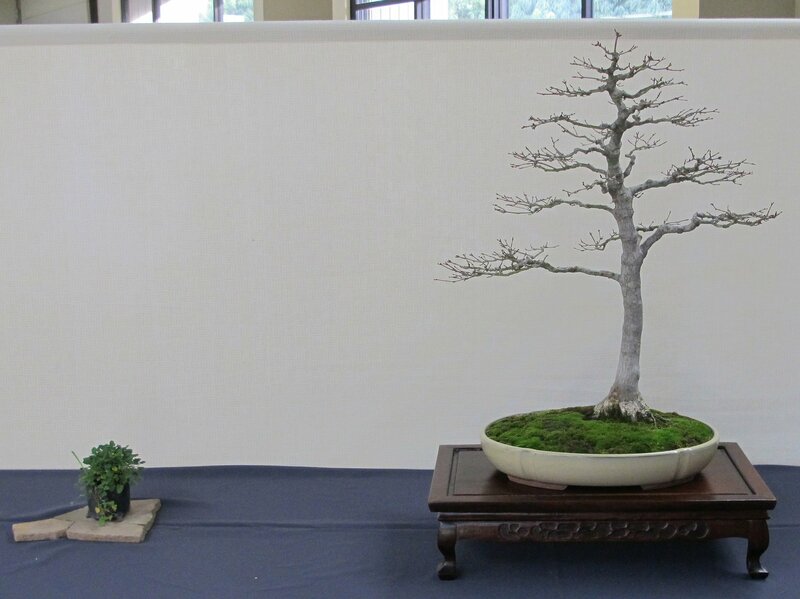 There were some exceptionally beautiful trees there, such as the Chinese Elm shown. 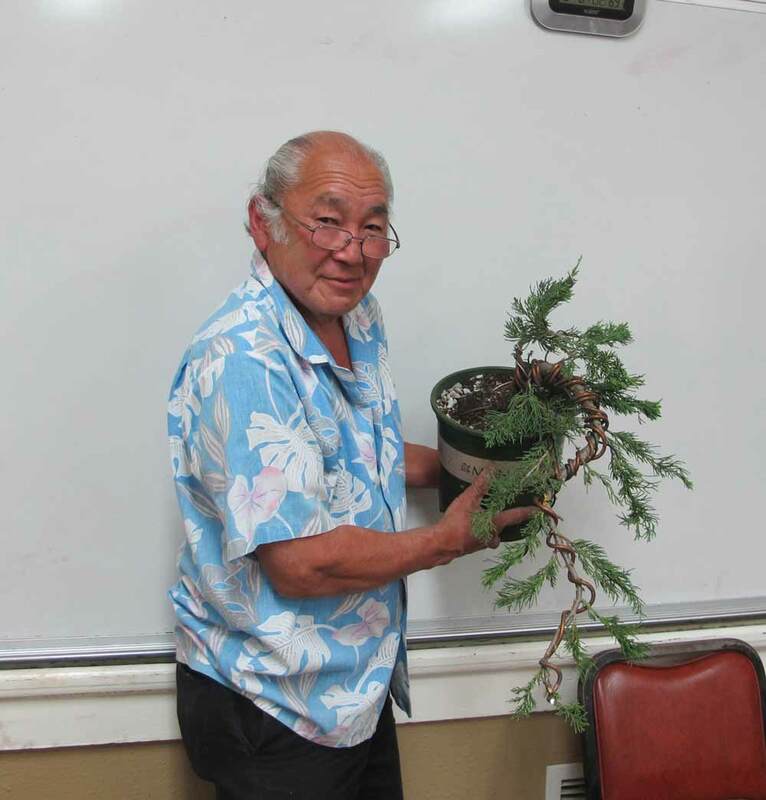 It was originally one of the late Khan Komai’s trees and is now cared for by Lindsay Shiba. 9 AM until noon, Room 8, Goleta Valley Community Center. Ann Erb, instructor. Second of four workshops on the second Saturday of the month with the club’s own Ann Erb. Contact Ann Erb or Tom Post if you’d like to attend. Space is still available. 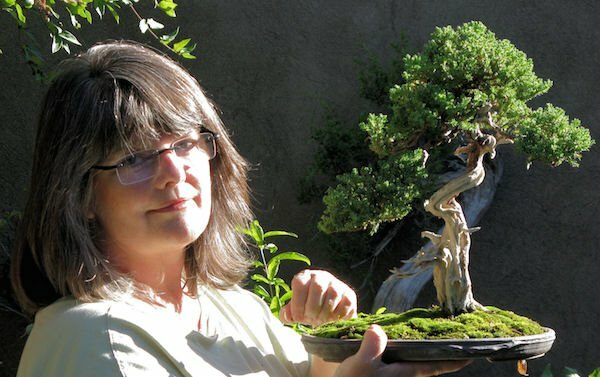 February 21: Bonsai Club Of Santa Barbara: Saturday Workshop With Guest Instructor. At Santa Barbara Botanic Garden. Details to follow.